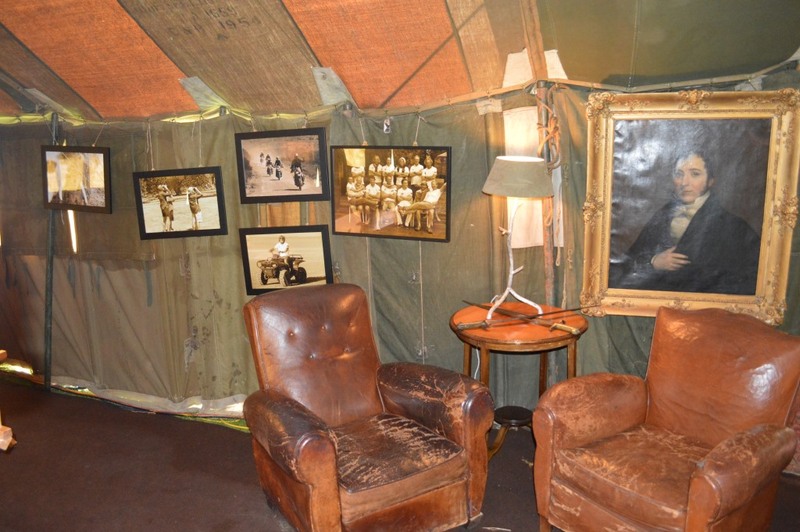 Vintage Military Tent Hire to create memorable parties. 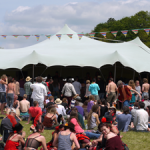 These retro vintage green army tents are very familiar from festivals, film and TV. Similar ones appeared in the TV series ‘Band Of Brothers’ and the BBC’s ‘Crimson Fields’ . The military tent’s retro looks are very popular, its canvas, ropes and webbing add authenticity that modern fabrics cannot. 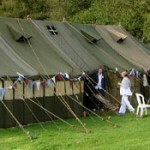 We have the largest collection of canvas for Vintage Military Tent Hire in the UK. We can supply 8 seperate tents with upto 20 middle sections available. Vintage Military tent hire is not just for a military theme, they also lend themselves to Safari/Bush/’Out Of Africa’, Steampunk, Festival &amp; Shabby-Chic themed events. See our vintage Themes page for more pics of the tent with period decor. We keep the tent’s well maintained, waterproofed and the military’s high standards mean that they are still going strong some 50+ years later. If you love the smell of canvas this tent is for you. The tents are dark inside due to the green fabric, they do have roll up windows which let light in (see pics in our gallery). The low ceiling and 5ft walls make it a cosy tent when full with people. The tents have an atmosphere all of their own and are great when added to an event. The tents have played a big part in making some great events. We also have a website dedicated to vintage canvas and the UK’s burgeoning vintage nostalgia scene. The military tent is sectional and the length can be made to the size you require. For use as a dining tent the most efficient seating is to use rectangular tables and benches style along the tent’s length. The rule of thumb for seating area is to allow 1.5msq for each seated person. Using benches will reduce this to 1msq. The military tent needs to be erected on level grass with an area allowing 3m larger than each of the tents dimensions. 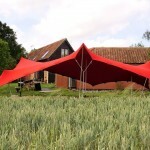 In its smallest size it is 7m/24ft x 6m/20ft which gives an area of 48msq/480ftsq. Enough for approx 30 standing or 20 dining. 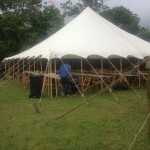 We can build a marquee with upto 10 sections 20ft x 110ft. Enough for approx 270 standing or 170 dining. The walls at the edge are approx 1.50cm/5ft high. We can put 6ft wall poles in but it does mean the canvas walls stand off the ground by a 1ft. We have some sections which date from 1945 and the fabric is a more ochre brown, where as the later 70’s canvas is a olive green. When erected the ropes will mean that the area required is larger by 10ft all around the edge of the tent itself.